Rihanna is probably one of the world’s biggest pop stars right now. But along with her catchy songs and rough music videos, there is something else that gets her to the top of the music world. It’s a unique marketing campaign. 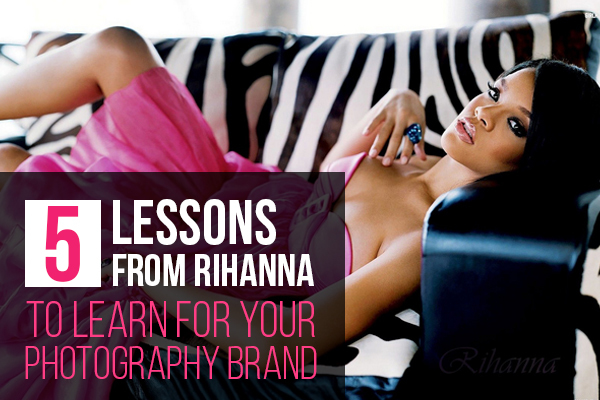 Today I’m going to talk about 5 lessons you can learn from Rihanna for your photography brand. Here you’ll get to know how to market your brand, stay strong and be unique about what you do. As you may know, Rihanna was crowned as a Billboard’s pop queen. Her face graced the covers of all the most known magazines by sitting front row at fashion week and collaborating with brands like Gucci, Covergirl, Nivea, Oprah, and Nike just to name a few. She starred in movies like Battleship, This Is the End, and Home. Popular brands could help you to build your own credibility. By collaborating with popular brands, Rihanna expanded to different areas outside the music world and branded herself as a pop icon rather than a singer. Photography businesses should collaborate with solid brands in order to reach a similar audience and make you associated with that brand and its quality in the future. Such a partnership could be done through events, ads, social media and guest blogging. Right before the release of Rihanna’s sixth album, “Talk That Talk,” she launched a huge social media campaign. It was called “Unlocked” where fans had the opportunity to take part in a countdown to the release of the album. This campaign won the Best Use of Social Media Award at the 2011 Creative Media Awards. The aim of that campaign was not only to update fans with the latest products, but also to give them a glimpse into her personal world. By mixing business related posts with personal ones, she created a strong emotional connection with the viewers. Rihanna is strong among all her social media accounts, sharing details on her personal life, music, and fashion. So, don’t just gain followers and friends, but also share your personal moments to find reflection in your audience’s hearts. Rihanna apologized a lot while on her ‘777’ Tour. She said she was sorry for every crowd she was late for. As US Weekly magazine said, “I know you guys got barely any dirt. But I had to be good. It’s impossible to spend time with everybody, and I’m sorry I didn’t.” Rihanna could handle her stuff way before it hit her fans, but she didn’t. And so, she got covered it. 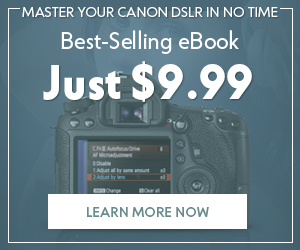 Running your photography business, don’t be afraid to take responsibility for being late for the photo session or for not meeting the deadlines. You’re communicating with people that do your sales and profits, thus you should stay responsible for every step you take. Back in 2009, Chris Brown, who was dating Rihanna at that time, assaulted her just before they both were to attend the Grammy Awards. After that, he got five years of probation, a term that has been filled with legal battles and again-on-again-off relationship with Rihanna. We should make note of this incident that she knows for sure how to bounce back from crisis. Rihanna has been open and honest about what’s happened, she kept hold her head high and rocking all the music charts! No matter how long you would be going to success and what would happen on your way to it, try to stay strong and never give up. There are so many interesting people out there, so naturally all of us love something really unique and different. Rihanna is a master in standing out from the crowd and making her own statement when it comes to music, fashion, hairstyle, or anything else. If you’re not a fan of her music, I’m pretty sure you have heard about her on the radio or TV, or a magazine. Her uniqueness lts her to develop different ways to reach the masses. 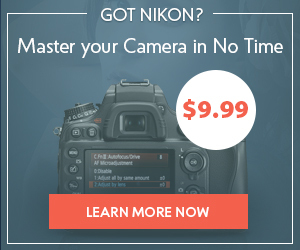 I know, the photography business is truly competitive and it’s quite hard to stay unique there, but give it a try. 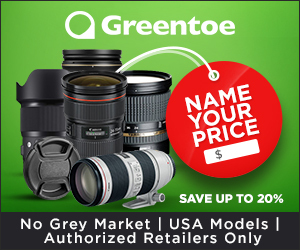 It could be your own unique photographic style, or the way you communicate with epop[ole, or some services very a few people from your area could offer. To develop your own style of shooting, you must take constantly take pictures, edit them and take new ones. 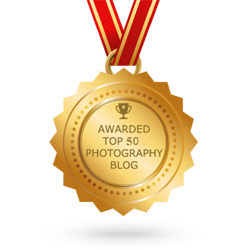 Your personal photographic style will show out maybe after the 1000th photo you take, but it will. I’d like to admit that I’m not a big fan of Rihanna’s music, but I’m a big fan of her marketing campaigns and ability to properly apply herself. 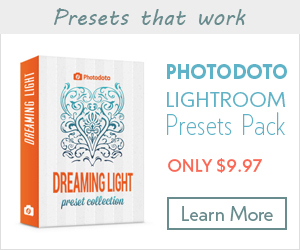 I hope these tips I’ve shared above will come in handy for your photography business. Maybe you know what else we can learn from Rihanna? Feel free to join the discussion in the comment field below. Also, make sure to check out our collection of celebrities’ Instagram accounts. And stay tuned!